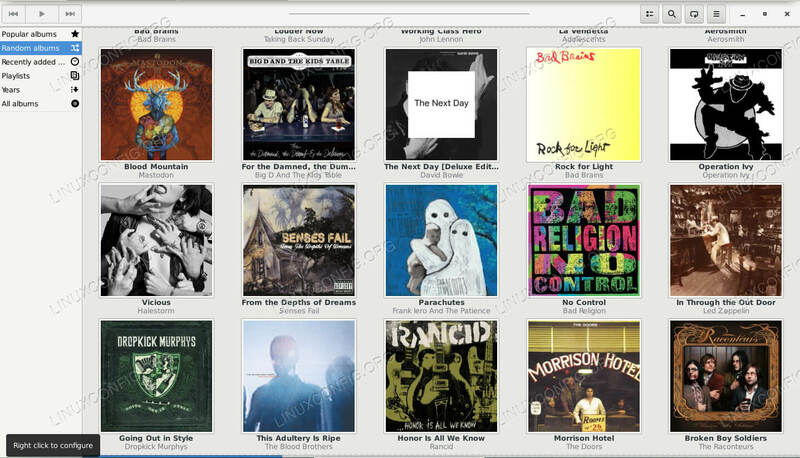 Lollypop is a beautifully designed graphical music player for GTK desktops, like GNOME. It’s exploding in popularity, but it’s not available in most distribution’s repositories just yet. This guide will walk you through the process of installing Lollypop on several popular distributions and importing your music library. How to Install Lollypop on Ubuntu. How to Install Lollypop on Debian. How to Install Lollypop on Fedora. How to Install Lollypop on Arch Linux. How to Add Your Music To Lollypop. Other Privileged access to your Linux system as root or via the sudo command. The Lollypop developers officially support Ubuntu with a PPA. This one is really easy. Just add the PPA to your system, and install Lollypop. Debian isn’t officially supported by the Lollypop developers, but that doesn’t mean that you’re not going to be able to get it installed on your Debian system. There really isn’t much in the Ubuntu PPA besides Lollypop itself, so it’s pretty safe to install the Ubuntu packages on Debian. You’re just going to need to do it manually. Create a new file at /etc/apt/sources.list.d/lollypop.list. Add the Lollypop Repos on Debain. Now, place the following two lines in the file. Using Ubuntu’s “Bionic” release is a safe bet, since it’s the LTS release. That should work fine on any Debian release. If you want to keep up with the latest releases on something like Sid, go for it. Next, you’re going to need to import the signing key for the PPA. You’re clear to update Apt and install Lollypop. 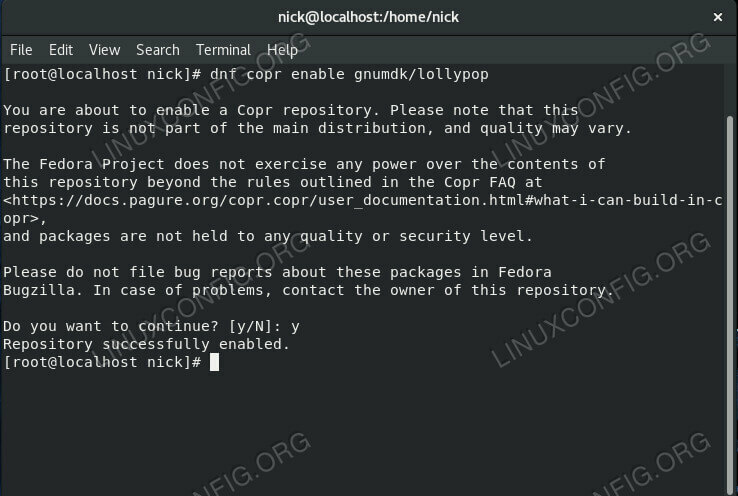 Enable Lollypop Copr on Fedora. Fedora is supported via a Copr repository. While this might not be as good as being in the official Fedora repositories, it’s a pretty good option, and it’s about on-par with a well-maintained PPA. Start off by adding the Copr repository to your system with DNF. Now, just install lollypop as you usually would. Lollypop actually is in the official Arch Linux repositories because its well, Arch. If you’re new to Arch Linux, get used to this. It tends to adopt everything quickly. Install Lollypop with Pacman. Open up Lollypop. 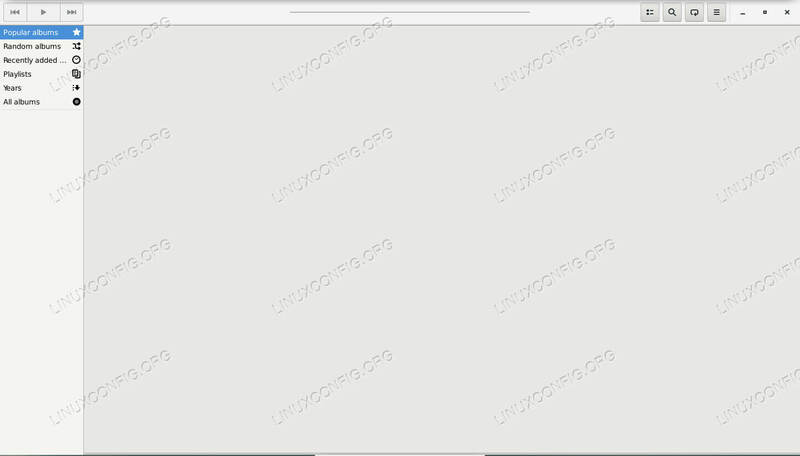 It’s a graphical application made for GNOME, and it’s usually categorized under Multimedia. When it first opens, you’ll see a big blank screen, and not a whole lot else. If your music is located in ~/Music, Lollypop should immediately start importing it. You can click on the three stacked line Hamburger menu toward the upper right corner of the window to open up some options. The top one allows you to refresh your music library, in case it’s not importing. If your music is located elsewhere, click on that menu anyway. Select Preferences in the drop down. A new smaller window will open up. Select the Music tab toward the top of that window. This tab lets you select your library source(s). Use the drop down where it says Music to select the actual location of your music library. Lollypop should automatically respond, but you always have the option of hitting that refresh button as described above. In either case, expect Lollypop to take a bit of time to import a large music collection. On the bright side, it’ll automatically fetch your album art and display everything really nicely. You now have a new and visually appealing option to play your music. All of these installation methods establish a way to keep Lollypop continually updated, so you can focus on maintaining your music collection, not the software playing it. Lollypop is sure to keep getting attention in the future, thanks to its great visual appeal and simple interface.